In which the Author counts down the ten albums he least disdained in 2016 that didn’t happen to be “old music”, which Millennials define as anything predating the current year. In preparation for this list, the Author didn’t listen to anything that was exclusively jazzy or soulful and skipped a bunch of rap albums that were probably overhyped by his peers who don’t listen to anything but rap albums. Albums he appreciated parts of but couldn’t really get into as a whole included The Altar by Banks, Heads Up by Warpaint, Scum Without Boundaries by the I.L.Y.’s, Puberty 2 by Mitski, Nine Inch Nails’ latest, A Hermitage by Jambinai, Boy King by Wild Beasts, The Hope Six Demolition Project by PJ Harvey, Prima Donna by Vince Staples, SVIIB by School of Seven Bells, My Woman by Angel Olsen, and the soundtracks to Doom, The Neon Demon, and Jackie. This is a pretty good album undermined by too much saxophone for my tastes which I foresee myself enjoying more on the second or maybe third listen if I make it that far. Blackstar and Lazarus are obviously the standout singles, though I also like the brooding beat of the “Where the f___ did Monday go?” song. ’Tis a Pity She Was a Whore is crude and lame and I don’t have much to say about the last two tracks. 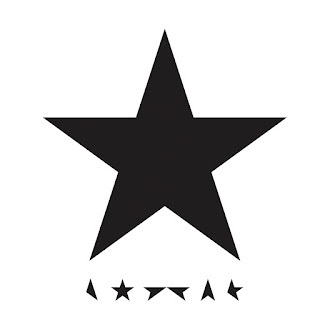 The overall aesthetic of Blackstar kind of reminds me of the Blade Runner soundtrack, which may be owing simplistically to the relaxed jazzy instrumentation, but I can’t really knock it for sounding like something awesome. This wasn’t a bad note at all for David Bowie to go out on, and music fans the world over have him to thank for providing several great albums over several decades. I distinctly remember discovering Outside through the end credits of Se7en and being enthralled by his ability to operate within the then-popular industrial genre while still putting his singular stamp of artistry on it. You could say I was deranged by him. Not from Blackstar, but maybe my favorite Bowie song. I don’t agree with any of the political sentiments expressed on this album, which is near constantly political. 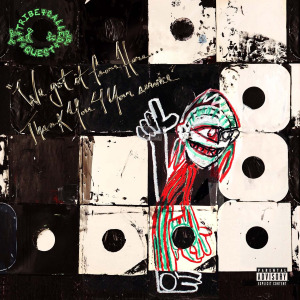 At times I find it too juvenile and ridiculous for the age of the people involved in it, as when Q-tip bemoans the lack of “women with wisdom leading the way”, or, in the album’s most insipid hook, when he sardonically monologues, “Muslims and gays, boy we hate your ways.” In spite of its bitterness, or because of it, it’s still the most sonically engrossing, witty, and sharp-tongued rap album I’ve heard in a long time, so bravo to A Tribe Called Quest for making a pouty left-wing “protest album” that even the Author can enjoy, you know, like a James Cameron movie. 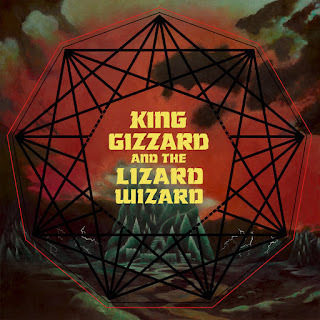 Probably the most straightforward and self-explanatory album I heard all year, Nonagon Infinity consists of nine fiercely energetic, similarly paced rock tracks that flow into one another and loop, endlessly, for as long as you can stand to listen to them. It’s kind of ingenious, and slapped a big grin on my face as soon as I realized that, yes, That Just Happened. 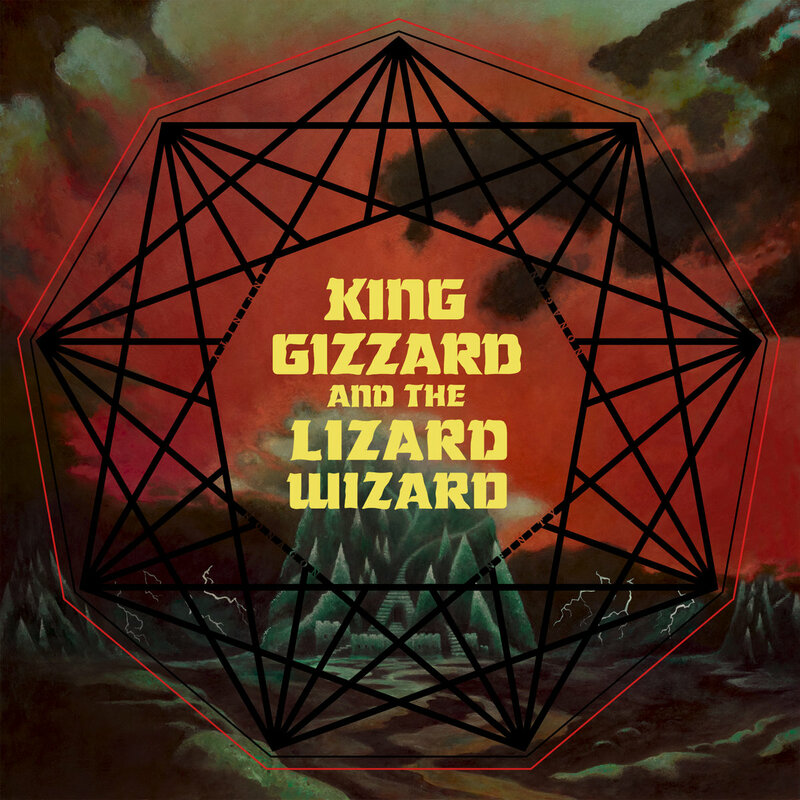 King Gizzard and the Lizard Wizard allegedly have five albums lined up for release this coming year, and if all of them exhibit the inventiveness of Nonagon Infinity, then 2017 is bound to be, literally, the best. 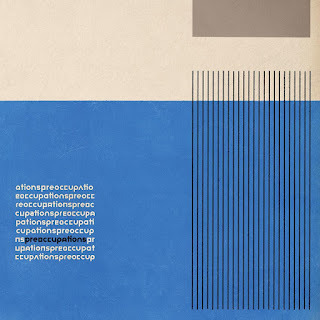 More melodic but less consistent and audacious than Preoccupations’ previous record Viet Cong, their self-titled sophomore venture nonetheless offers an enjoyable batch of densely mixed post-punk, post-rock, whatever you want to call it. Although I could play the 11-minute Memory and Degraded repeatedly, the presence of a couple undeveloped, 1-minute half-songs and a limp-footed outro makes the whole thing less appealing for regular listening. I still have to thank them for Viet Cong, which was the best album I heard for about three months straight and would definitely have a spot on 2015’s list were I to revise it today. It’s Death Grips’ annual album, which means you either love it already or just don’t get it. I second Anthony Fantano’s opinion that this is a conglomeration of sounds the trio has previously explored, but that doesn’t lessen its merits whatsoever and it’s certainly the catchiest Death Grips record behind The Money Store. Giving Bad People Good Ideas and Eh obviously speak to me on a more personal level than any other music this year, as they should to most anybody who has participated in a Creative Writing workshop. 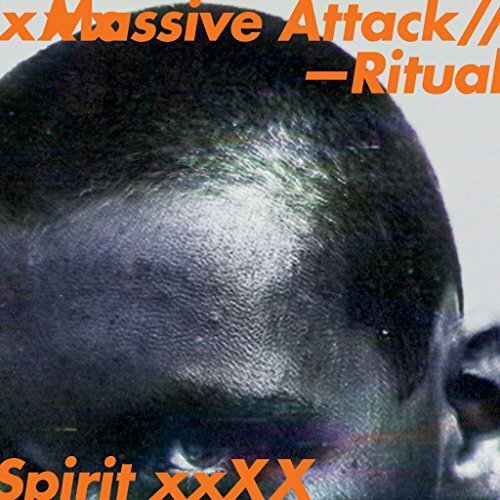 Others like Spikes and Three Bedrooms In A Good Neighborhood lack the same profundity of truth-speaking from MC Ride but soar on some of the best hooks yet created by Zach Hill and Andy Morin. 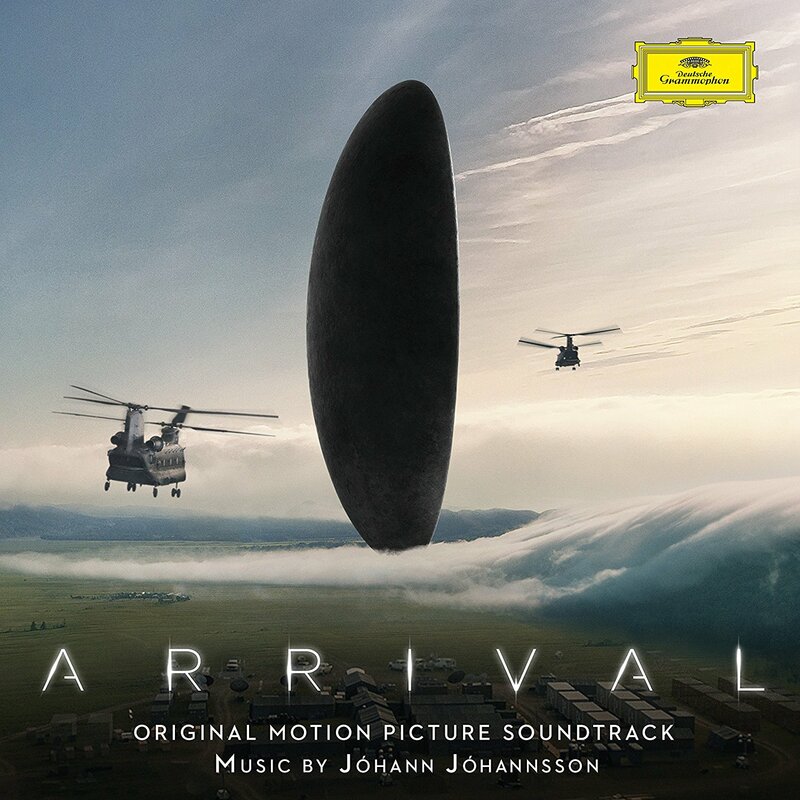 After my second time watching Arrival, my friend remarked that he was often unsure which sounds in the film were diegetic and which were linked to the soundtrack. That is precisely what makes the Arrival soundtrack so singular and brilliant: evoking the mechanical whirring of helicopters and ominous humming of heptapods even without the film’s visuals. The percussion and electronics and choral elements alone on here put almost every other wide-release score this year to shame, and it’s the first sci-fi soundtrack in ages that dares to sound truly alien. Between this and Sicario Johann Johannsson has proven himself one of the most visionary and flexible composers working now, and with any luck studios will keep on letting him do his thing without interference. 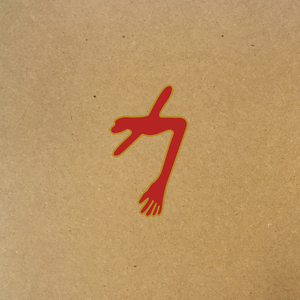 This has to be my least favorite out of Swans’ unofficial trilogy of albums, but one of them had to be. Even being well acquainted with roughly half of the band’s multitudinous other albums, this is one of the eeriest, most inaccessible, yet also spiritual works I’ve heard, a gargantuan 2-hour wall of music that contents itself with getting under the beholder’s skin at the possible expense of memorable tunes or lyrics. Gone are the instantly gripping, head-bobbing singles of To Be Kind or more exciting, protracted sequences of The Seer, replaced mostly by the soul-shaking, instrumental drone the band has been perfecting since Soundtracks For the Blind. 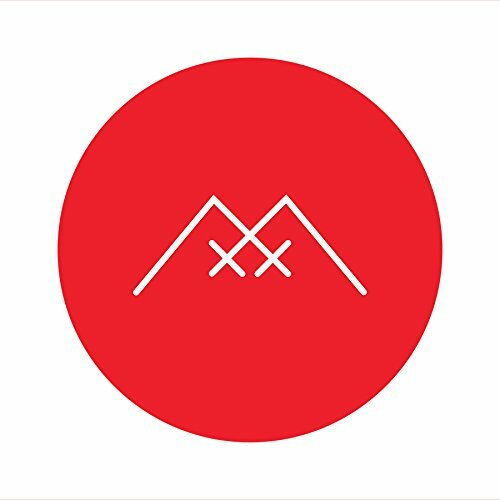 Frankie M is the closest thing to a banger out of the eight tracks, and it’s 21 minutes long, so I can only perceive myself listening to The Glowing Man again at home or on a long, probably solitary, roadtrip, and even then only when I have no other mentally taxing activities that would divide my attention from the experience. 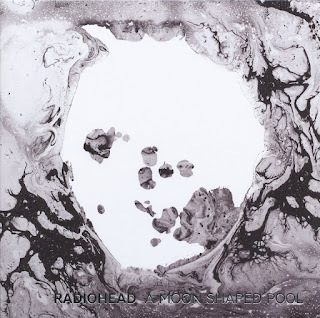 Many said this was one of Radiohead's grower albums, not as unwelcoming as The King of Limbs but still too moody to love immediately. I liked most of it at first, though certain tracks have called me back more than others (Daydreaming, Ful Stop, and Present Tense) and I've only bothered to hear the whole thing through twice. Burn the Witch, while fine by itself, doesn't work well as a kicker into a block of largely mellow tracks, and the snoozer True Love Waits really was better in acoustic form 15 years ago, which leaves me baffled why critical consensus seems to consider it the best track. As for the politics of the album, I don't get why people think the lyrics of Burn the Witch are pro-illegal immigration, and while I appreciated the subtle callback to the B-side Talk Show Host in The Numbers, once I realized it was a thinly veiled Global Warming protest anthem I never went back to it, because that's just, like, embarrassing. Maybe this would have been acceptable for a Pablo Honey-era Thom Yorke, or even Kid A-era Yorke if we're pushing it, but at 48 the guy is getting rather old to be singing unironically about Global Warming. Overall, though, if you're more drawn to Emotional Radiohead than Political Radiohead, you've probably already relished this many times over. 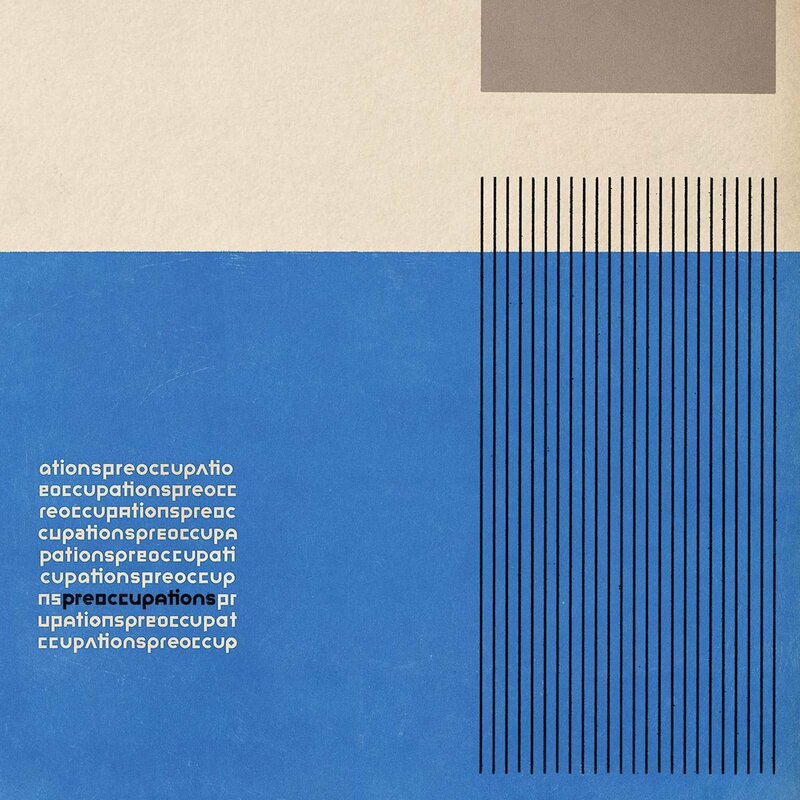 Daydreaming continually entrances me with a genius music video to accompany it, Ful Stop is ready made for blowing out subwoofers, and Idioteque once again proves the band’s skill at crafting songs with multiple movements that sound organic to the whole. Is exactly what it purports itself to be, although you may not know what that is. Having never delved into Twin Peaks or Xiu Xiu prior to hearing this, I was astonished by just how thrilling the crossover of the two was, the only downside being my subsequent disappointment that the band hasn’t made anything else quite like this. Though it’s difficult to describe in terms of its musical components, the album certainly has a good mix of atmospheric mood pieces (Audrey’s Dance and Harold’s Theme) and hard-hitting, frightening rockers you can visualize being played in some seedy bar (Packard’s Vibration and Blue Frank/Pink Room). Heavily distorted throughout and magnificent at its peaks (Falling being the most “normal” and moving song), it’s a decidedly filmic soundtrack that more than compensates for its lack of an accompanying source, one I’d recommend unreservedly to anyone who seeks out weird and esoteric music. When I first realized back in January that Massive Attack had put out some new music and it was the darkest, most intoxicating four-song set they’d produced since the opening of Mezzanine, I floundered for an effective way to communicate this pressing information to my comrades in the dorm room, who were fixated on a game of 2K or “The Flash” or something and who still looked forward with keen anticipation to whatever Drake or Kanye would be dropping yet. Given the less than ideal circumstances, it’s little surprise I didn’t succeed in this, but hopefully these Files can avail more people to check the EP out. Whereas the featured artists on past Massive Attack projects didn’t always suit the tone of the whole album (Damon Albarn’s appearance marked the early demise of Heligoland, for instance), all the ones on Ritual Spirit feel judiciously connected, culminating in the band’s triumphant reunion with Tricky on Take You There. The closing track in particular sounds like a demented evolution of Radiohead’s A Wolf at the Door, escalating from a trembling piano loop into full-blown, hypnotic nightmare fuel that perfectly closes out, in my opinion, the most cohesive release of the year. On top of being all-around excellent trip-hop, it also introduced me to Young Fathers, who have more than a couple catchy songs under their belt and don’t sound like any other experimental rap group working.